Send It In Jerome: Does March Madness Bastardize College Basketball? Does March Madness Bastardize College Basketball? I'm going to tread carefully on this subject because I love March Madness and I love college basketball. In fact, I think the NCAA Tournament is hands down the best sporting event in existence and I don't think it's even close. 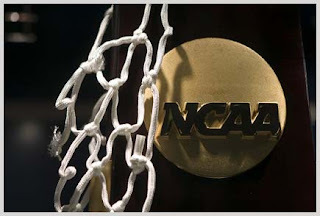 I do realize that in asking whether or not March Madness bastardizes college basketball I'm attacking the very thing that makes the game so popular, not to mention I'm attacking an institution that generates millions of dollars for college athletic programs across America. At the same time, as a die hard college hoops fan who follows the season closely from November to April, I can't help but notice that the sport seems to change at the the end of February, transforming into something very different than what it was during the first four months of the season. I don't know if there's anything inherently wrong with this and when I mention this change I'm not talking about the way the game is played or the way the players on the court approach each game (although that does change quite a bit come March), but for those of us who follow the game deeply and enjoy every detail of the college basketball experience, there are aspects of March Madness that just aren't congruent with our experience during the regular season. With so many people suddenly jumping on the college basketball bandwagon when the calendar hits March, it begins to feel like an entirely different sport. All of a sudden, it's no longer about the coaching, the players, or the rivalries, it's about the hype that comes along with another year of March Madness and whose bracket is doing the best. 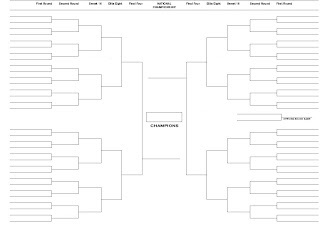 I guess you could say that I'm a bit of a college basketball snob, and while I love filling out my bracket just as much as the next red-blooded American male (or female for that matter), it's certainly not my favorite part of the March Madness experience. After years of following the college basketball regular season closely, I've resigned myself to the fact that I'm never going to win an office pool and that's fine by me. (if you've read my bio you know that I won my mom's office pool when I was nine years old, but I'm going to chalk that up a combination of dumb luck and foresight about a series of 64 games which generally make absolutely no sense that only a nine-year old could have). But it's hard not to grow weary of "bracket guy," as Jim Rome has identified him, and I think we've all come across someone like this at work or at a bar. A year ago when a sputtering Villanova team ran into Omar Samhan's St. Mary's squad in the second round of the tournament and promptly got dominated in the paint by the 6'11'' behemoth, I was at a bar with someone who fit bracket guy's description perfectly. He was blathering on to no one in particular about how good his bracket was doing for most of the morning, which promptly got on everyone's nerves. This guy had obviously picked Villanova to advance very far in the tournament because he was following every possession like his life depended on the outcome of the game. As it became clear that St. Mary's would indeed be pulling off the upset, this guy literally tore his bracket to pieces while he was sitting at the bar as he exclaimed, "I've never even heard of St. Mary's before!" The entire situation was pretty insane, but the worst part about the whole scene was that this guy wasn't even a Villanova fan. Part of what makes college basketball great is the level of dedication that exists amongst fan bases around the country. People who root for Duke, North Carolina, Kentucky, and many other programs out there love their teams, hate their rivals, and cheer accordingly. And they certainly would've done their research about whomever their favorite team was playing in the second round. 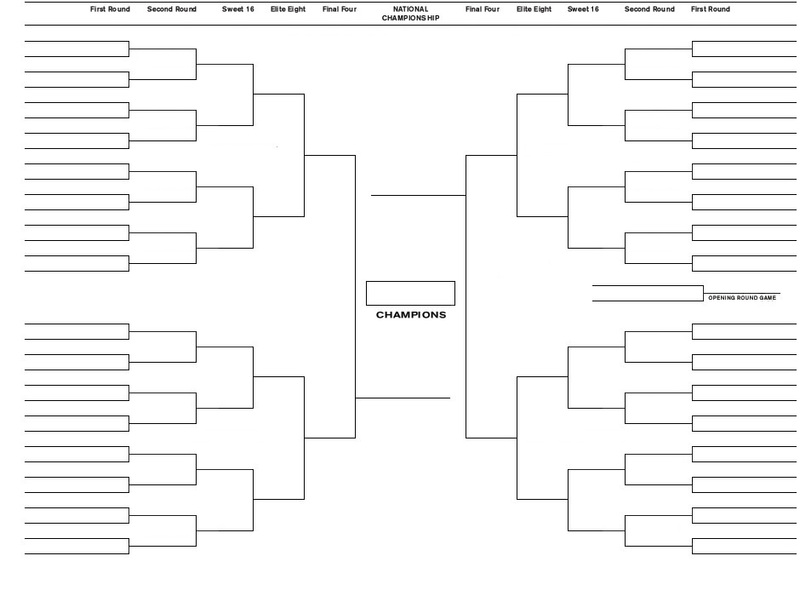 But after most casual fans fill out a bracket, they seemingly become a fan of every team and no team at the same time. There are die-hard college basketball fans who would watch a mid-December meeting between any two major conference teams if their house was on fire. And then there are those who might tune in for the occasional big name showdown (think UNC vs. Duke etc.) if there's nothing better on TV, and these are the same people who suddenly become enamored with college hoops as soon as the words "bracketology," "pool," or "NCAA Tournament," are mentioned. Of course, there's nothing wrong with being a casual fan of the game and far be it from me to tell people how to watch college basketball or when they should enjoy it. But the tournament certainly takes this bandwagon sentiment to new heights. To be honest, I like the fact that there's such a big difference in the interest level between college basketball's regular season and postseason, and maybe that's the reason why I feel like college basketball might be bastardized by March Madness. To me, college basketball's regular season is like getting to know someone really well over a long period of time and enjoying their company when the two of you are alone. The tournament, on the other hand, is like going to a party for the first time with this person, watching them get drunk, and act completely different than the person you came to know. For those of us who watch the game consistently throughout the season, it's easy to see that things are different when the brackets come out and people who never even knew Belmont was a college, much less had a basketball team in the NCAA Tournament, are suddenly sure that they're going to upset Wisconsin in the first round. The worst part about this type of thinking that's based on little more than a mascot or team name, is that it's right about 50 percent of the time. It might sound a little strange but in following all of these college teams and players throughout the first four months of the season, I feel like a lot of die-hard college basketball fans form a personal relationship with the game when most casual fans couldn't care less. But once those brackets are released and people start repeating the phrase "March Madness," over and over again, the teams, players, and coaches that we intently followed for the last four months seemingly cease to exist as we knew them just a few weeks ago. I won't argue with anyone who says that the college game has its faults, because it does, but on the whole I think college basketball is basketball in its purest form. These kids play their hearts out on any given night, listen to their coaches, sacrifice their time, and the vast majority of them aren't doing it because basketball is going to get them a big pay day, they do it because they love the game. I know that these kids are going to school for free and that there's plenty of corruption in college basketball just like any other sector of the world we live in today. But to me, college basketball is about redemption stories, kids having the opportunity to make positive changes in their lives, and coaches helping these kids grow into men (oh yeah, and great basketball). And for every scumbag coach we hear about, how many coaches are doing the right thing for the guys on their team? Even though it's fun, college basketball isn't about filling out brackets or looking for that sleeper 13 seed, but that's what the media hones in on because they know it will appeal to a much larger audience and drive more revenue. Maybe it doesn't, but if you happen to run into bracket guy at your office or at a bar, good luck having an intelligent conversation about college basketball with him.